Friday, 7 December 2018, 11 a.m. – 12:30 p.m. Leaders For Peace. Rondine youth appeal for human rights. Invitation to an event on the occasion of the commemoration of the 70th anniversary of the Universal Declaration of Human Rights. 10 December 2018, 10 a.m. – 12 p.m.
Monday, 10 December 2018, 3 – 5 p.m.
During the UN COP24 Climate Change Conference grand opening on Monday, Secretary-General António Guterres told over 150 world leaders gathered for climate action that “we are in deep trouble” and asked decision-makers to focus on four key things: stepping up climate action, according to a solid plan, with more funding, as a smart investment in the future of the planet. The Climate Action Messenger Bot on the United Nations Facebook page will make it easier than ever before for people to learn what actions they can take to tackle climate change. The Climate Action ActNow.bot will recommend everyday actions – like taking public transport and eating less meat – and track the number of actions everyone individually is taking. By sharing your Climate Action progress with your followers on social media, you can help encourage more people to ACT NOW. Share how you volunteer to build #ResilientCommunitites in a video! We are pleased to announce the call for nominations for the voluntary positions of the Conference Chair and the call for applications for Co-chairs and members of the Planning Sub-committees for the 68th United Nations Civil Society Conference*, which will take place from 26 to 28 August 2019, in Salt Lake City, Utah, USA. The 68th United Nations Civil Society Conference seeks a Chair, who will coordinate all aspects of the conference administration and co-chair the Conference Planning Committee with the Chief of NGO Relations and the Host-City Planning Team. For details and application, please click here. Deadline for nominations is 5 p.m. on 21 December 2018. If you are interested to serve as a Co-chair or a member of a Conference Planning Sub-committee, please click here. Please note that representatives of NGOs associated with DPI can apply. Deadline for applications is 31 December 2018. Thursday, 13 December 2018, 11 a.m. – 12:45 p.m. 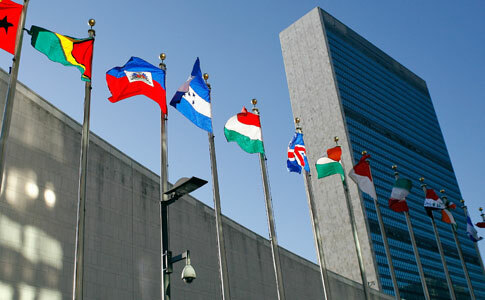 The above UN news and events was made available through the DPI/NGO news. Subscribe to DPI NGO Relations Announcements and E-mails here. You can access the DPI website here.